If you’re going to listen to anyone’s thoughts on the future of social media, listen to Mark Zuckerberg. Even if you prefer to heed the words of more modest players, many projections in the digital marketing sphere are calling for increased budgets, firmer expectations for ROI, more total hours watched and higher conversion rates surrounding video marketing. If the last few years were any indication, 2018 isn’t going to be any different. So how can you stay in the video game without breaking the bank on video marketing tools and apps? In fact, there’s a huge market for cost-saving measures that can help business owners and marketers on a budget create strong video efforts while spending relatively little. Here are a few of those tools. Okay, yes, this one’s nothing groundbreaking. But Facebook Live is actually a great way to promote your brand’s authenticity directly to your fans. We live in an era of fake news, photoshopped images and biased media. What better way to cut through the noise than to showcase your authentic self to the world? Facebook Live is free and easy to set up – just click the bright red “Go Live” button and spread your message to the world. If you want to advance beyond webcams and smartphone mics, you can spring for a subscription to a tool like BeLive or Crowdcast to broadcast using a better camera rig. Pro-tip: How often is too often? You should definitely not be going live daily – save it for when you have an important announcement or message. Your followers get a little red notification in their feed every time you go live, and if you’re doing this more than once a week, it can be majorly off-putting. Vidyard was made with marketers in mind. With a single dashboard, it makes video creation manageable for non-video types. A large majority of Vidyard’s capabilities are available in their free version. Their Chrome extension makes things easy and streamlined. Wistia is a comparable software with a different set of tools and hosting options. They offer tons of customization options. Their free package offers three videos per month, and their Pro Package is $99 per month for ten videos. The bottom line for both is their emphasis on metrics that people in business can understand. If you’re looking for a quick video to slot into a landing page or blog post, or even personalized emails or social media pages, then these tools will offer among the most robust set of options available. Don’t want to deal with the stress of creating a video yourself? Outsourcing can be tricky on a shoestring budget, because you’re opening yourself to the possibility of working with people who are either out of your price range or, frankly, not great at their jobs. Thankfully, for transparent options in video production, you’ve got solid platform options for finding freelancers. Fiverr and UpWork are classics for finding quality freelancers on a small budget. (For short videos, double digits is a good modest start; be wary of anyone offering to produce even a five-second video for under $10.) You can see freelancers’ portfolios and work history before hiring them on these platforms, too. For a more specific project, you can turn to a tool like Valoso, which hires local videographers to cover corporate events anywhere in the world. You don’t even need to worry about vetting them since the company takes care of all that – the camera operator will just show up and shoot. Less a tool than a hosting platform, Vimeo is an excellent social network that can extend the reach of your video to an engaged, authentic audience. If YouTube is all celebrities and virality, Vimeo is all documentaries and artistic music videos. It’s an excellent place for genuinely well-done sponsored content, too. Don’t bother uploading corporate explainers or anything that feels inauthentic, but if you’re especially proud of your latest video, and you think a broader audience will enjoy it, consider Vimeo as part of your distribution platform strategy. If you’re looking for the quickest app to edit video, FilmoraGo is a solid option. With it, you can cut pre-existing video clips, add subtitles and overlay text, speed up or slow down the pace of your video, and add filters to change the mood. There are other smartphone app options, of course, but FilmoraGo is often touted as the strongest. If you need more than the free version can accommodate, they offer in-app upgrades. If you want to tailor your video to a specific social platform like Instagram, and you’ve only got limited phone video footage and a few photos at hand, consider a social-specific tool such as Flipagram. Flipagram’s main gambit is converting photos into videos and combining them with stills, stitching them together into a neat little Insta-ready video. It works for Facebook, too, and makes creating simple, quick videos an absolute cinch. It’s a perfect option for anyone looking to up their social video game. For $50 a month, Shakr offers significant desktop editing capabilities, including preset templates and designs created with particular industries in mind. You can also create videos using drag-and-drop templates for different social platforms, meaning if you want to create a “travel”-style video for both Instagram and Facebook, this is the best app to make it happen. There are loads of other video tools out there. 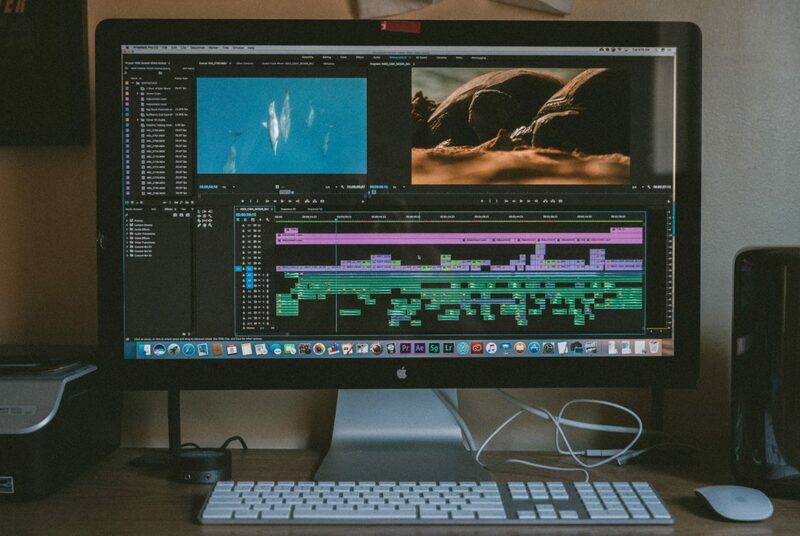 For the more skilled video editors, there are great tools such as Camtasia, After Effects and Final Cut Pro that are a whole different ball game. But if you’re a marketer or business owner with little video expertise and even less budget, these ten tools are a great place to start.